Home Research Faculty Michael Kladde, Ph.D. 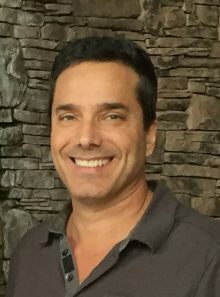 Professor Mike Kladde earned his Ph.D. degree in Cellular and Molecular Biology with Dr. Jack Gorski at the University of Wisconsin-Madison in 1991 on estrogenic regulation of gene expression. He then pursued postdoctoral work on chromatin structure and function in the laboratory of Dr. Robert T. Simpson at both the National Institutes of Health and The Pennsylvania State University. Dr. Kladde took a position at Texas A&M University in 1998 and rose to the rank of Associate Professor, continuing his studies on epigenetic regulation of gene expression. He joined the Department of Biochemistry and Molecular Biology at UF in 2007. Epigenetics has emerged as a major regulatory theme in the control of gene expression. We focus on understanding the dynamic interplay in transcription between various layers of epigenetic regulation, including nucleosome positioning, histone modifications, and DNA methylation. An ongoing active area of the lab involves the development of innovative epigenetic methods and bioinformatics tools. We cloned and characterized the GpC DNA methyltransferase (DNMT) M.CviPI, the key reagent in MAPit and, more recently, MAPit-patch, our single-molecule, integrative methods for simultaneous mapping of DNA methylation and chromatin accessibility at single and multiple loci, respectively. Bioinformatics support for data analysis is provided by MethylViewer and MethylMapper. These methods and programs are being leveraged in studies of colorectal, breast and brain cancer with the goals of identifying the complex series of molecular steps associated with establishment and maintenance of aberrant epigenetic silencing, e.g. of tumor suppressor genes, new molecular targets for therapy, and drivers of drug resistance. 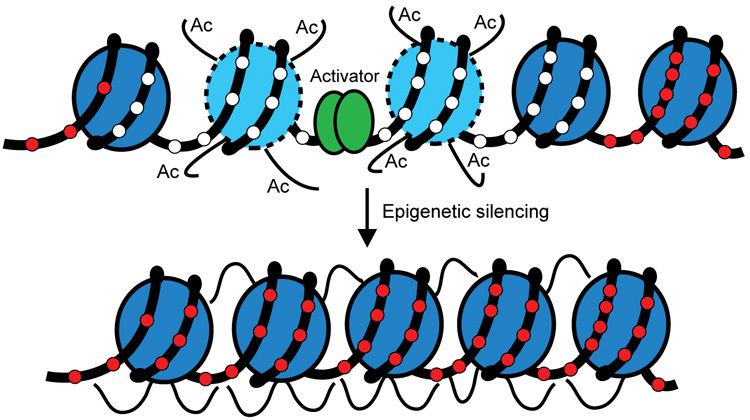 While epigenetic silencing frequently involves promoter hypermethylation, using MAPit-patch, we recently discovered that increased nucleosome occupancy, i.e. the absence of a nucleosome-free region (NFR) characteristic of actively transcribed promoters, can also be associated with silencing of a DNA mismatch repair gene and specify a drug-resistant subpopulation of glioblastoma cells. Future aims are to define the molecular defect in NFR formation and assess if increased nucleosome occupancy can be mined as a novel class of diagnostic and prognostic cancer biomarker. In collaboration with Rolf Renne’s lab, we are also investigating the role of epigenetics in the infective life cycle of Kaposi’s sarcoma herpesvirus (KSHV). We reported marked epigenetic heterogeneity, diverse MAPit patterns of chromatin accessibility and DNA methylation among allelic copies, an observation that we have extended to neural stem cells and glioblastoma cells. Inaccessibility of about 40% of alleles from several different KSHV loci suggested genome-wide compaction of a fraction of the thirty or so KSHV episomes per cell. At the opposite end of the spectrum, we found that the insulator protein CTCF could organize arrays of positioned nucleosomes with completely methylated linker DNA, suggesting that nucleosomes restrict access of endogenous DNMTs. Ongoing experiments are being conducted to decipher how these and other specific epigenetic features are set down and propagated upon de novo infection and progression to latency. The KSHV genome presents an ideal model system for such studies as its double-stranded DNA within the virion is “epigenetically naïve,” i.e. lacks detectable histones and methylation. We are also studying epigenomic reprogramming of KSHV following reactivation of the lytic, replicative phase of the virus.